Wikipedia informs us that due to varying opinions as to what differentiates a building from a tower, determining the worlds tallest building is not without its challenges. What is however straightforward is determining the world’s tallest man-made structure which although incomplete; is at present Burj Dubai. 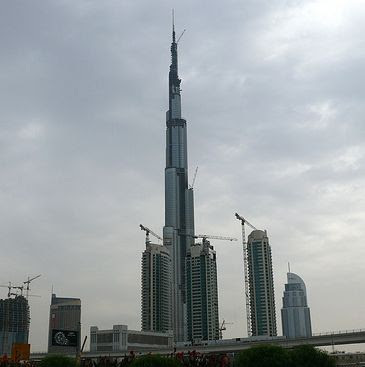 Upon completion it will officially hold the title of "Tallest Building in the World"
Construction began on the 21st of September 2004 and it will by the end of the year, be ready for occupancy. Chicago-based architecture and engineering firm SOM is in charge of the project. The primary builders are Samsung Engineering & Construction and Besix along with Arabtec. Turner Construction Company was chosen as the construction manager and the projects architect is Adrian Smith. The budget for the development is US$ 4.1 Billion, and Mohamed Ali Alabbar (CEO of Emaar Properties), speaking at the Council on Tall Buildings and Urban Habitat 8th World Congress, made it known that the price of office space at Burj Dubai, had reached US$43,000 per m2. Its current Height is 800m and can be seen from 95km away. “A house is not a home until you have added your personal signature,” this is the mantra you will find on the Lloyds Living brochure. In 2004, after 20 years of having worked for Nedbank, Natasha Lloyd took the bold decision to flee the corporate comfort zone, and start a business that would allow her to pursue her passion for Design. Rejuvenation as an alternative to selling, is something Natasha strongly advocates. “A lot of my clients love the location of their home and are happy with 80% of it, my job is to fix the 20% and maximise the existing space,” she tells us with enthusiasm. In addition to having completed a management development programme, Business Management and Project Management courses, Natasha has on a personal level, been renovating, decorating and altering, all her life. The headline reads “Glaring Disregard for Safety on Sites” and the article centres on the Department of Labour’s assessment that construction companies throughout South Africa, are demonstrating a blatant disregard for occupational health and safety standards. The industry being one of the most dangerous sectors to work in, Government has issued a stern warning that inspections are on the increase, and that non-compliance of legislative requirements, could result in harsh penalties. 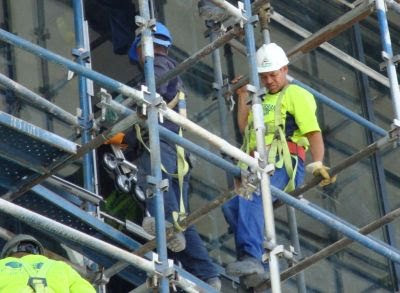 Master Builders KwaZulu-Natal has a first-rate OHS Department, the Association's Health and Safety manager Neels Nortjé, serves on the Minister of Labour's Advisory Council for Occupational Health and Safety. If you’re concerned as to whether you would pass a surprise inspection, why not contact the experts. Our OHS department offers a specialized consulting service at competitive rates; with discounts applicable to Association Members. To find out more, you can contact either Elishya, Neil or Neels on 031 266 7070, they are waiting for your call. Bonga recently moved over from the NHBRC Inspectorate and came on-board as the Association’s Customer Care Facilitator. His role in the organization is to call on existing members as well as to recruit new ones; he is essentially the interface between members and the Association. Bonga speaks fluent English, Zulu, Afrikaans and Xhosa making him the ideal candidate. When asked what it is he likes about working for Master Builders KwaZulu-Natal he response was “Everything, I feel at home here.” When asked what he would change, he jokingly made reference to his tiny workspace, while acknowledging he knows it’s only a temporary measure. Family: Mother, farther, 4 brothers and two sisters. Would like to have a pet, however lives on his own and wouldn’t have enough time for it. Can’t remember when last he went to the cinema. Plays classical, Listens to RMB. A Range Rover would be nice he says, again with a big smile. Plays the violin; he and his brother perform at weddings. Likes cricket used to play. Also enjoys rugby, is a big Sharks supporter. Practicing the violin and performing with his brother. Interested in joining the Association, Bonga is the person to call on 031 266 7070. 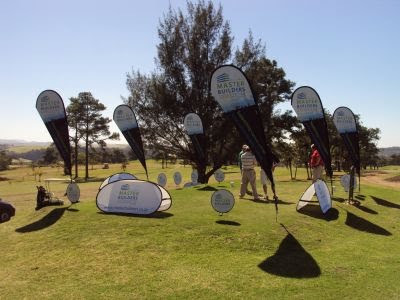 Master Builders KwaZulu-Natal sponsored a hole at the South Coast Construction Golf Day, which took place at the Margate Country Club on Friday the 21st of August 2009. It was a bit surprising that we weren’t allowed to place our banners around the green as we have done at other events; nonetheless we made the most of the space we were allocated and would have to say it was good value for money, and well worth the exercise. We were given the Tee-off at the 14th hole and instead of having our branding all the way down the fairway; we had to concentrate on one small area that proved to be very effective. The Tee-off platform is on a raised embankment which we barraged with our banners so it could be seen from a long way off. The event boasted a massive field and golf was played in an excellent spirit. There was no shortage of liquid refreshments and while some played sublime golf, most didn’t take it to seriously; a fun day was had by all. From a Master Builders KwaZulu-Natal perspective, it was undoubtedly good for business as there were a lot of enquiries regarding the role of the Association and lots of business cards were exchanged. To anyone who views the construction industry as their target market, it’s well worth considering for next year. Of all God's creatures, there is only one that cannot be made slave of the lash. That one is the cat. 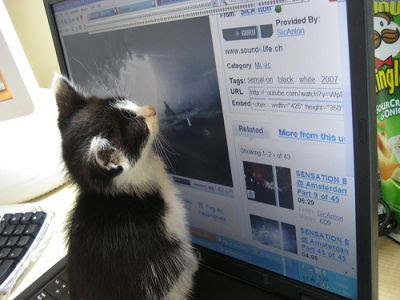 If man could be crossed with the cat it would improve the man, but it would deteriorate the cat. Dogs need to sniff the ground; it's how they keep abreast of current events. The ground is a giant dog newspaper, containing all kinds of late-breaking dog news items, which, if they are especially urgent, are often continued into the next yard. After scolding one's cat one looks into its face and is seized by the ugly suspicion that it understood every word. And has filed it for reference. It may surprise some to learn that concrete was first invented by the ancient Romans and that it was in common use by about 50 BC. Roman concrete, like any concrete, consisted of mortar and an aggregate. The mortar (a hydraulic cement) was a mixture of limestone and a special kind of volcanic dust called Pozzolona which contained a high element of alumina and silica. The Pozzolona created an exceptionally strong bond with the aggregate. The aggregates varied and were a mixture of rubble from the remains of demolished buildings and pieces of rock. The discovery of concrete meant that instead of cutting and shaping large blocks of stone to enable structural stability, Romans could now simply “pour” concrete onto a formwork resulting in the hardened concrete taking the shape of the container. The “pouring” process is not as we know it today but rather a process of applying layers of the mixture to achieve the final shape. Roman concrete was remarkably strong and could span long distances when formed into arches, vaults and domes. The Pantheon is an example of Roman construction excellence where the upper dome consisted of alternate layers of light tufa (a soft volcanic stone) and pumice with a density of 1350 kg/m3 and foundations of travertine as an aggregate with a density of 2200 kg/m3. The tufa was used to face the concrete. The Pantheon's dome is the largest unreinforced dome in the world. As Roman concrete was easy to work, cheap to make and enabled shortened construction time its invention resulted in an expansion of Roman cities and provinces. As the concrete was fireproof it was safer than wooden arches and supports. Roman concrete could set under water which led to improved bridge and harbour design. Roman concrete had however one defect – it was unsightly as it showed an ugly surface once the formwork was removed. The Romans however overcame this problem by covering concrete surfaces with other materials such as marble or brickwork. Super spy Tanya Leeuw, aka 008, has been caught on camera carrying out a covert op. At no point, when parking his van in front of the building, did Derek Garton of A.C.T. Painting & Renovating, suspect he was setting himself up to be her next target. His vehicle was spotted displaying the old Association “Member” sticker which prompted Tanya to jump into action. Wearing a full proof disguise (Gary’s sunglasses) the agent with the License to Stick, moved stealthily towards the offending vehicle before vigorously pouncing. We recently sent out the 10th edition of our bi-monthly electronic newsletter and are pleased to report that its readership is rapidly growing. Because we use sophisticated list management software, successful deliveries are high, and we are able to monitor how many have been opened. The earlier editions only went out to our 600 or so members. As a result of industry stakeholders and other interested parties having subscribed to it online, the database is now very close to having doubled. The Newsletter itself features useful information on current Associations news, as well as articles of interest. Articles are written by subject matter specialists and cover a broad range of relevant topics including, Health and Safety, Contractual and Legal, Training, Financial Services, Industry information and Economic News. Are you missing out !!!! Visit masterbuilders.co.za and find the SUBSCRIBE option down the left hand side column. Our newsletter also presents an excellent Advertising opportunity to those who view the KwaZulu-Natal building industry, as their primary target market. For further information, you are welcome to contact me on 031 266 7070.
avoid touching your mouth and nose; clean hands thoroughly with soap and water, or cleanse them with an alcohol-based hand rub on a regular basis (especially if touching the mouth and nose, or surfaces that are potentially contaminated); avoid close contact with people who might be ill; reduce the time spent in crowded settings if possible; improve airflow in your living space by opening windows; Practice good health habits including adequate sleep, eating nutritious food, and keeping physically active. HOW DO I KNOW IF I HAVE INFLUENZA A (H1N1)? You will not be able to tell the difference between seasonal flu and influenza A (H1N1) without medical help. Typical symptoms to watch for are similar to seasonal viruses and include fever, cough, headache, body aches, sore throat and runny nose. Only your doctor (or nurse) and local health facility can confirm a case of influenza A (H1N1). traveling to a health facility to discuss whether a medical examination is necessary. I CATCH THE NEW VIRUS? No. You should only take an antiviral, such as oseltamivir or zanamivir, if your health care provider advises you to do so. Individuals should not buy medicines to prevent or fight this new influenza without a prescription, and they should exercise caution in buying antiviral over the Internet. for babies and increases their defense factors to fight illness. No. Whether you have influenza A (H1N1) or a seasonal influenza, you should stay home and away from work through the duration of your symptoms. This is a precaution that can protect your work colleagues and others. 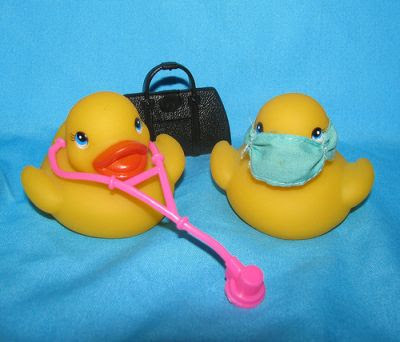 If you are feeling unwell or have symptoms of influenza, you should not travel. If you have any doubts about your health, you should check with your health care provider. Protect yourself! Clean your hands regularly. Wash your hands with soap and water, and dry them thoroughly. Use alcohol-based hand-rub if you don't have immediate access to soap and water. 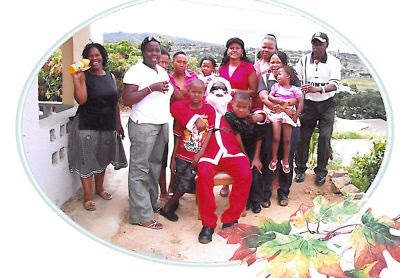 On 12 August 2009, 15 pre-selected members of the Association, attended a breakfast at the Margate Country Club, the purpose of which was to request their participation, in the Gamalakhe Community project. South Coast Regional Chairman Ray Basson; had invited George Enslin to address the meeting to provide project details, as well as background information. Without hesitation, members came forward and pledged everything needed for completion, it was overwhelming, and absolutely fantastic to witness. Usb green / brickforce / dpc / rooftiles & window frames. Site work had already begun on 11 August 2009, for follow up articles and progress reports ….. WATCH THIS SPACE..... It’s initiatives like this, that make one proud to be associated with Master Builders KwaZulu-Natal. Before joining the Association, Muzi completed a two year learnership with Metro Cash and Carry and worked as a bartender for Sun International. He now works with the ladies in the Conference Department, ensuring that all client requirements are met. What do you like about working for the Association? That’s a big question, I would have to say growth opportunities, there are many different departments and with that lots of scope for advancement. 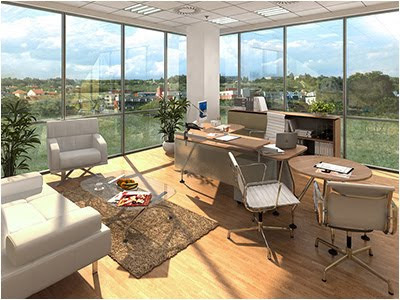 Compared to the hotel industry, the working environment is far more enjoyable. The conference department is running smoothly, I think we are getting it right. There’s always room for improvement though. Family of six, has one brother and two sisters. Unmarried, has a girlfriend named Nosipho and a daughter Aynda. Had a dog growing up, none at present. The Shawshank Redemption, with Morgan Freeman and Tim Robbins. Mostly Classical Music, used to enjoy listening to Radio 2000 before they changed their programming. If you could get to meet anyone, who would it be? Enjoys sport when there's time, likes Rugby, Soccer, Cricket, doesn’t mind which, as long as SA is playing well. If stranded on a desert island, what three items would you take with you? Would think about it long and hard, then choose carefully. Something work colleagues don’t know? Is a fanatical newspaper reader, reads the papers from corner to corner. What is the most Outrageous activity you have ever taken part in? Once ran a marathon (the time was 3h:12min). Master Builders KwaZulu-Natal Midlands Regional Office is currently hosting level 1 first aid courses. So far two, two day courses have taken place (29/30 July and 05/06 August) with a third scheduled for later in the week (14/15 August). There attendance record shows 12 learners per course thus far, with 14 scheduled for the next session, making it fully booked. Thus far the pass rate has been exceptionally good, well done to all who took part and good luck to those who will be attending the next session. Master Builders KwaZulu-Natal recently pledged R20,000 to a construction project aimed at uplifting a particular family in the Gamalakhe township west of Port Shepstone. The Sports and Recreational Minister, Makhenkesi Stofile and the MEC for Health from the KZN Provincial Legislature, Dr Sibongiseni Dhlomo attended the sod turning ceremony. Present also were the Mayor of Ugu municipality, Councillor Sithembiso Cele, and Deputy Mayor, Cynthia Mqwebe. For a the full article visit the News & Information section of our website. Regarding our daily blog post categories, you may have noticed that we indeed work to a very flexible guideline. As there are topics such as “Focus on a Member” that do require outside assistance and also bearing in mind that participation is on voluntary bases, it is impossible to stick to a rigid schedule. Another good reason for it is that blog posts typically shouldn’t be predictable, and when they are, it is considered by some to be poor on-line etiquette. Monday: Thoughts for the week, courtesy of Michelle Govender. Members wanting to contribute, please contact me at the Association on 031 226 7070, we look forward to hearing from you. 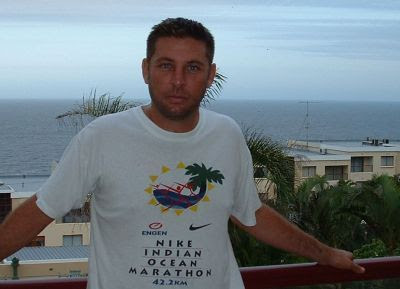 Ernest worked for PostNet Southern Africa (PTY) LTD for 12 years and held the post of Regional General Manager in three provinces. He has had his own IT Hardware supply and support business, and was the managing partner in an online outdoor activity web portal venture. He joined Master Builders KwaZulu-Natal earlier in the year to the Commercial and Online Department. I come from a franchising background so for me it’s a whole different dynamic; it’s a new challenge which I’m thoroughly enjoying. Its very exciting times for us, we are in the process of implementing so many positive changes, I can’t think of any that isn’t already on the agenda. A Persian named Fifi, she rules the house. I enjoy Rock and Alternative. Led Zepplin, The Smiths and The Red Hot Chili Peppers all come to mind. Luke Watson, (he says with laughter) just to annoy my Sharks supporting colleagues. Rugby and soccer (supports Western Province and Liverpool) enjoys playing tennis. If the palm tree on the island is a one of those disguised cell phone reception towers, I would take my laptop, 3G modem and Blackberry. I have a collection of MAD magazines dating back to the 80’s. Bungy jumping down the Garden Route, more recently jumping off the Orlando cooling towers in Soweto. Working with a production crew does have some excellent perks, such as being surrounded by “the Beautiful People” and traveling to exotic locations. Kwamashu, Pinetown, Gateway and Pietermaritzburg, are just some of the many breath-taking destinations, the SafeBuild DVD has been shot at. Bearing in mind that I have no construction experience, (came onboard to assist in implementing the Associations on-line strategy) time spent on site with this project, has afforded me a far greater level of understanding as to what our members have to contend with on a daily basis. I got to see first hand just how dangerous a place building sites intrinsically are, and why every precaution has to be taken, to minimize risk to safety. I have no doubt that the SafeBuild product will ultimately save lives. Anne Frank: Parents can only give good advice or put them on the right paths, but the final forming of a person's character lies in their own hands. Annie Sullivan: Children require guidance and sympathy far more than instruction. Bill Cosby: Human beings are the only creatures that allow their children to come back home. Bill Vaughn: A three-year-old child is a being who gets almost as much fun out of a fifty-six dollar set of swings as it does out of finding a small green worm. Bureau of Social Hygiene study, 1928: It is very difficult and expensive to undo after you are married the things that your mother and father did to you while you were putting your first six birthdays behind you. Chinese proverb: One generation plants the trees; another gets the shade. Clarence Darrow: The first half of our lives is ruined by our parents, and the second half by our children. Colette: It is not a bad thing that children should occasionally, and politely, put parents in their place. Dorothy Parker: The best way to keep children home is to make the home atmosphere pleasant -- and let the air out of the tires. Eda LeShan: Becoming responsible adults is no longer a matter of whether children hang up there pajamas or put dirty towels in the hamper, but whether they care about themselves and others -- and whether they see everyday chores as related to how we treat this planet. Elizabeth Stone: Making the decision to have a child - it's momentous. It is to decide forever to have your heart go walking outside your body. Florida Scott-Maxwell: No matter how old a mother is, she watches her middle-aged children for signs of improvement. Franklin P. Jones: You can learn many things from children. How much patience you have, for instance.